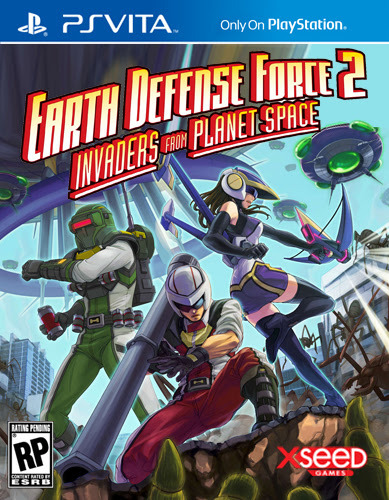 Earth Defense Force 2: Invaders From Planet Space Trailer #2: It’s Boom Time For Big Space Bugs Soon | "DESTROY ALL FANBOYS!" This entry was posted in 2015, Commentary, DAF, Holiday Gift Guide 2015 and tagged BUY This Game, Coming Soon, Cover Art, Digital Games, Downloads, Earth Defense Force 2: Invaders From Planet Space, Exclusives, Playstation Network, PlayStation Vita, PSN, Sandlot, SCEA, SEN, Shut Up And Play It!, Sony, VGA 101, Videogame Appreciation 101, Videogame Trailers, Vita TV, Xseed Games, YouTube by geelw. Bookmark the permalink.